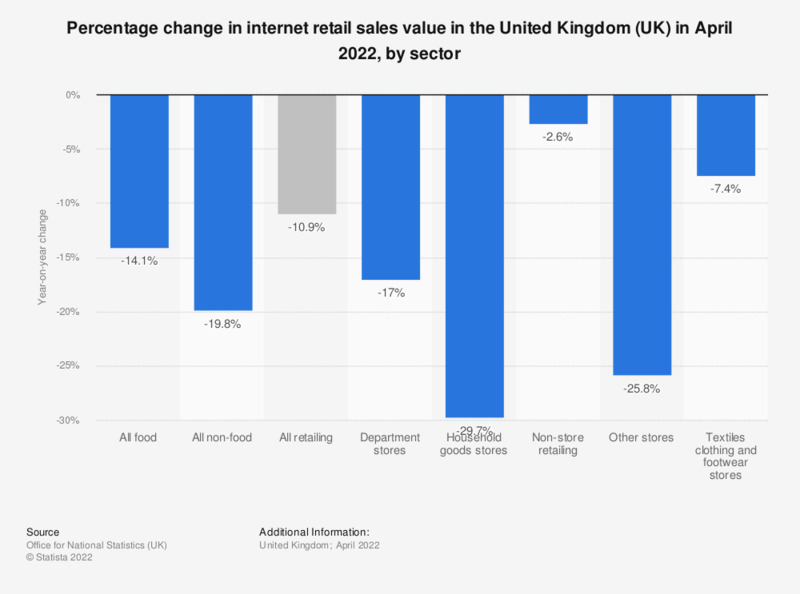 This statistic displays the percent change (year-on-year) of the value of internet retail sales in the United Kingdom (UK) in October 2018, by sector. The department stores sector experienced a 15.9 percent growth in internet sales in October 2018. ** Percentage change compared to the same month the previous year. Values have been seasonally adjusted.